EISA DAVIS is an award-winning actor, writer, and singer-songwriter working on stage and screen. She was a finalist for the Pulitzer Prize in Drama for her play Bulrusher, and wrote and starred in Angela’s Mixtape, named a best of the year by The New Yorker. Other plays include Ramp (Ruby Prize winner), The History of Light (Barrymore nomination), Paper Armor, Umkovu, Six Minutes, Warriors Don’t Cry, Mushroom Play, and the collaborations Active Ingredients and Hip Hop Anansi. She is currently writing the musicals Flowers are Sleeping and Devil In A Blue Dress, and writes for the Netflix series She’s Gotta Have It. As an actor, she is an Obie Award winner for Sustained Excellence in Performance. 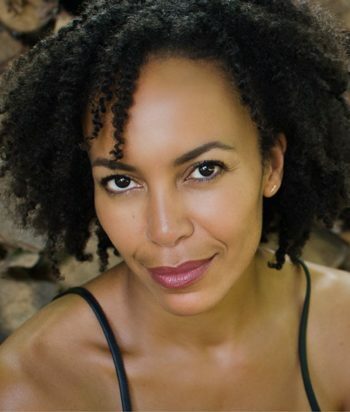 Eisa recently concluded a celebrated run in Kings at the Public (Drama League nomination), was in the 2017 Shakespeare in the Park production of Julius Caesar, and appeared in Preludes by Dave Malloy, directed by Rachel Chavkin, for which she received her second Lucille Lortel nomination. Other recent theatre work includes The Cradle Will Rock directed by Sam Gold, Luck of the Irish (Lucille Lortel and AUDELCO nominations), the world premieres of This and The Call, the first revival of The Piano Lesson at Yale Rep (also composer and music director), and the acclaimed Broadway rock musical Passing Strange, captured on film by Spike Lee. Current television work includes Rise (NBC), Condi Rice on The Looming Tower (Hulu), and Succession (HBO). Eisa played Cynthia Driscoll on House of Cards, was Bubbles’ sister on The Wire. and Alexandra on Blindspot. She has guest starred on Falling Water, The Family, Elementary, Madam Secretary, American Odyssey, Gotham, The Blacklist, The Good Wife, Mercy, and Damages, and recurred on Soul Food, Smash and Hart of Dixie. Film work includes First Match, Free Angela, Welcome to the Rileys (opposite James Gandolfini), In The Family, Robot Stories, The Architect, Confess, Happenstance, Pretty Bird, Apparition of the Eternal Church, Brass Tacks, The Letter and The Volunteer.